We are excited to announce the new addition of graphene enhanced PLA filament to the collection of filament options on our store site. The new filament comes in graphite gray and features enhanced thermal stability, print quality, and first layer and Z-axis adhesion. With these features, the graphene enhanced filament is great for use in industrial applications, bringing increased strength to industrial 3D-printed parts. Users will also benefit from reduced shrinkage and warpage for increased part accuracy. 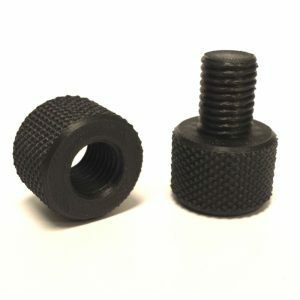 The graphene enhanced filament produces a great, metallic graphite-looking finish, and is certified for use with the Afinia H-Series printers, set to optimum extrusion temperatures (200-210 C recommended). Please note that an external spool holder is required for the 400g reel when used with the H800(+) 3D printer. See our online store for additional details.